Despite the challenge of retaliatory tariffs from Mexico and China, the U.S. dairy industry set an all-time record for dairy exports last year, shipping more than 2 million tons of milk powders, cheese, butterfat, whey products, lactose and other products. That added up to more than $5.5 billion in sales. It all starts with an essential ingredient, milk, and a passionate person, the U.S. dairy farmer. Below are first-person essays from four U.S. dairy farmers, each illustrating a value that has helped increase exports 619% in less than 25 years. Today, the milk from nearly one out of six tankers leaving American farms ends up in dairy products and ingredients enjoyed in other countries. Marilyn Hershey says sustainability means protecting the environment, and more. There is a body of water in the eastern United States known as the Chesapeake Bay. The Bay is known for its beauty and is home to crabs, oysters and more than 300 species of fish. 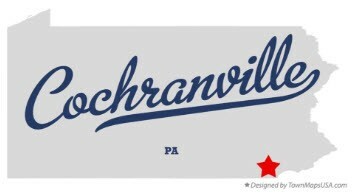 I live a little north of there in Pennsylvania. The land is hilly and all the creeks and rivers flow toward the Chesapeake Bay. We have a creek running through our farm, so we work very hard to keep any runoff from the farm from reaching the creek. We want to protect the Bay! We have installed stream-bank fencing that provides a buffer zone 25 feet on either side of the creek. Vegetation can grow wild there and absorb any water coming from the surrounding farm fields. Rainwater that falls on the farm buildings — and the resulting runoff — is captured in pit. It is then pumped to another storage area, which keeps it confined and away from the creek. 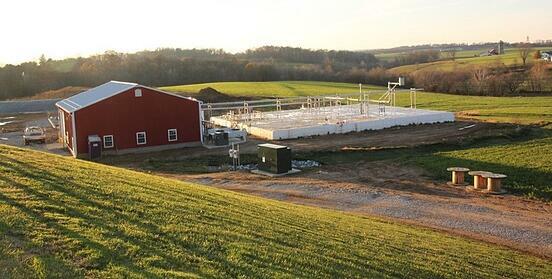 Our farm is one of the 280 on-farm anaerobic digester systems in the United States. It benefits not just our farm, but the larger community by taking in potato waste from a local potato chip plant, as well as waste vegetable oil from restaurants. We mix those with manure in our manure digester. Methane is captured, which can be converted to electricity. We generate enough to power our farm and sell some of the surplus to a local utility company. This anaerobic digester at Marilyn Hershey’s farm is an example of U.S. Dairy's commitment to sustainability. It generates electrical power from cow manure, waste from a local potato chip plant and vegetable oil waste from restaurants. I am proud to be a dairy farmer. I love waking up early and seeing the sunrise. I love working around nature. I love working with the animals and caring for them. I get very attached to the animals. We try to be as sustainable as possible, which means protecting the environment―and more! 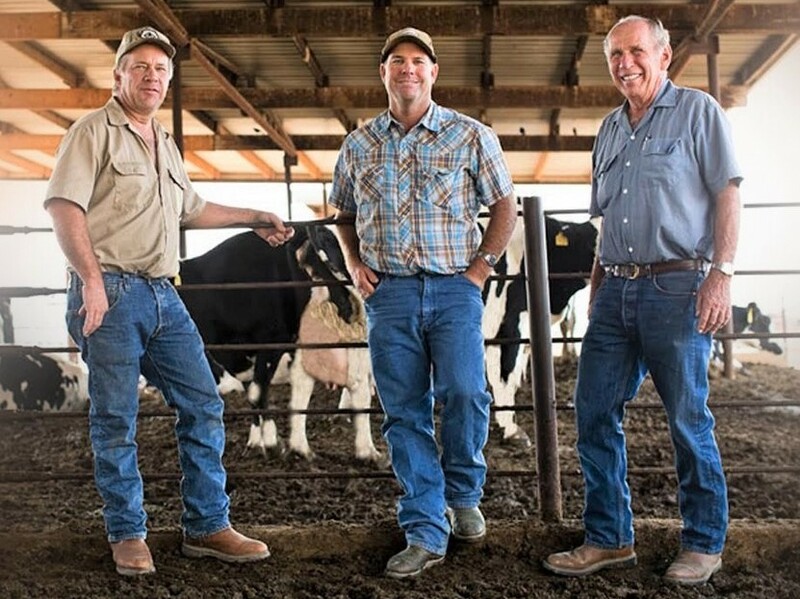 Brad Scott, center, manages a 1,100-cow dairy farm with his brother, Bruce, and father, Stan. That milk is an essential ingredient in frozen yogurt sold around the world. 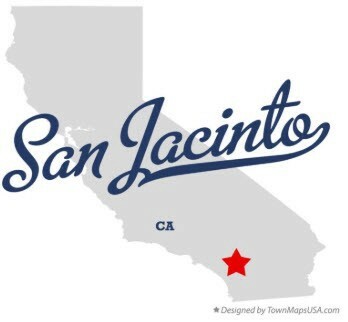 I grew up on a farm in southern California. 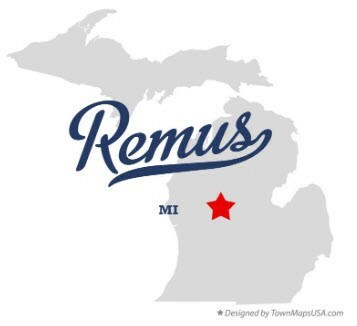 Besides the farm, our family had a creamery or processing facility. We sold milk to retail outlets in the state of California and later out of state. Going out of state was a big deal at the time, but today with international distribution it’s a whole new story. 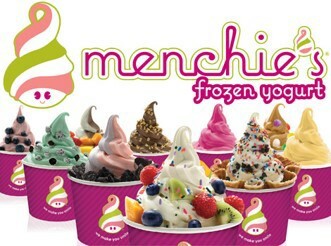 We produce products for international frozen yogurt companies like Menchies, TCBY and Yogurtland, some of whom have locations here in Tokyo (or Hong Kong). It’s exciting to walk into a Yogurtland in Tokyo knowing that the product being served may well have come from our farm. We are always happy to talk to the clerks and customers in the stores about the farm and the creamery. Everything is done on our farm with the cow’s well-being in mind. 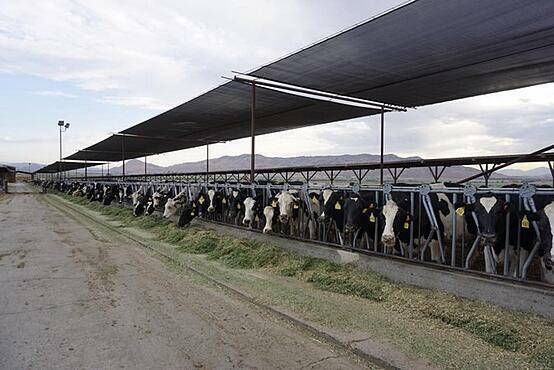 Our cows eat our own feed grown from our own land in a warm comfortable climate year-round. When the frozen yogurt companies visit our farm, I impress on them that we care for the cows seven days a week, 24 hours a day, 365 days a year. It is not a 9-to-5 job. Often, the company representatives are surprised to see green fields on our farm, since they had the impression that we live in a dry area of the country. Their eyes get big when they see the green. 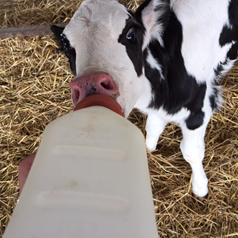 When customers visit Scott Brothers Dairy they are impressed by what they see, knowing that cared-for cows lead to cared-for customers. Cows offer unique contributions to food systems. The fields produce crops, most of which we cannot digest, to feed the cows. The cows make highly nutritious milk. The manure from the cows goes to fertilize the fields. And the cycle begins all over again. The frozen yogurt companies are pleased to see the farm is sustainable, and they gain a new awareness that quality begins on the farm. All the water on our farm is 100 percent recycled. They are similarly impressed when they visit the creamery. They are impressed by the quality of the people, their friendliness, their knowledge and their commitment to quality. 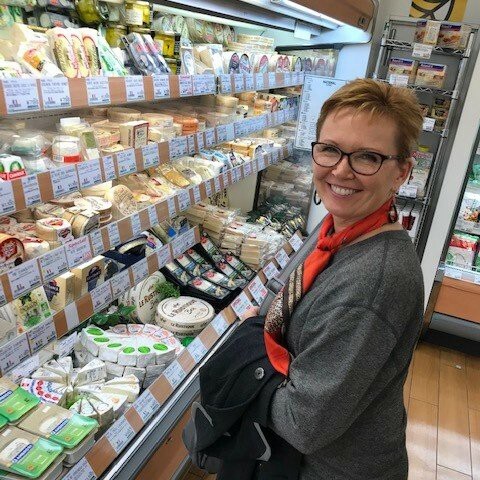 On a recent trip to Japan and Hong Kong, Michigan dairy farmer Cheri Chapin enjoyed finding U.S. dairy products in supermarket dairy cases. We are always looking for ways to improve at our dairy, whether it is the way we feed or the way we keep our cows comfortable. Animal care is at the top of our priority list. 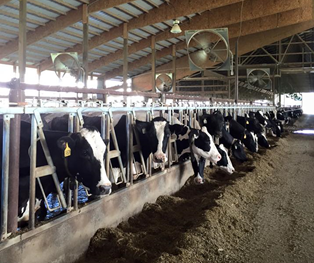 Fans and misters in the barns provide evaporative cooling, making it comfortable for Chapin's cows even on a hot day. We keep close track of the animals’ health. Each of the cows wears a transponder around her neck which monitors her rumination and activity. If a cow’s rumination goes down, or she is not as active, it may an early warning sign of a health problem. We can check her temperature and see how she is doing. A veterinarian comes out to check the cows every week, and a hoof trimmer comes to take care of the cows’ feet every two weeks. We have good employees who are dedicated to animal care. They receive regular training, and we emphasize that the animals must be treated with respect. Before an employee is ever put in with the cows, he takes a training seminar and signs an agreement saying he will treat the animals humanely. When visitors come to the farm, they comment that the animals are calm and appear to be well-cared-for. When it is 95 degrees outside, it’s interesting to watch the visitors when they step into the barns and the fans and misters are going, providing evaporative cooling. The cows are eating, and the visitors can’t believe how comfortable they are. Our annual rolling herd average is 31,740 pounds per cow, which is nearly 9,000 pounds above the national average. To achieve this, we must do many things well. Cow care is one of them. Lowell Mueller keeps detailed records of his cows, their ancestry and their improvement over time. It is estimated that 97 percent U.S. dairy farms are family-owned businesses. Like most farms our size, we must be efficient to stay in business. We have switched from incandescent light bulbs to fluorescent in the barns and have found the fluorescents are four times more efficient than the old incandescent bulbs. One area where we have really improved is manure management. 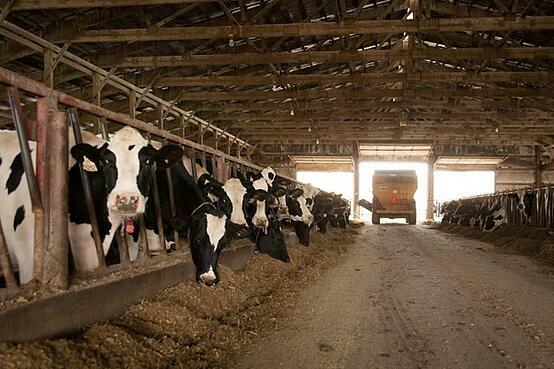 We are using nutrients from the cows’ manure more efficiently than ever before. We flush the barns with water to remove manure, and then the solids are separated out before the water goes to lagoons. Lagoon water is then applied to the fields to supply moisture and nutrients for crops. We have some fields where we have used very little commercial fertilizer the past 30 years, and we have been able to maintain above-average yields. With the help of constantly improving technology and nutrition, the amount of milk produced per cow has almost doubled at Mueller's farm over the past 45 years. We also practice no-till on many of the fields, which means the soil is left undisturbed after a crop is harvested. Soil erosion is almost eliminated, and we have seen improvements in our soil conditions and yield because of it. I handle the breeding program and am very proud of the progress we have made. We are a registered herd, which means we keep detailed records of our cows, their ancestry and how they have improved over time. We believe our manure management system is a good example of sustainability. We are using our resources wisely to get more corn, alfalfa hay and soybeans from every acre and more milk from every cow. The amount of milk we get from each cow, on average, has almost doubled since I began at the farm 45 years ago. Why U.S. 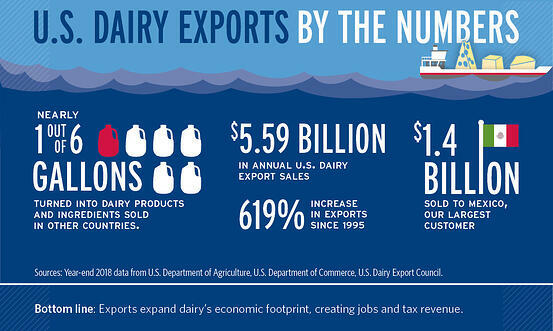 Dairy Exports Need "The Next 5%"
Got Dairy Jobs website with state fact sheets, videos and more. On social media, track dairy's important economic role with the #gotdairyjobs hashtag.